Most airports in Kenya are used for domestic flights. The largest airport is Jomo Kenyatta International Airport (NBO) located in Nairobi, the capital of Kenya. 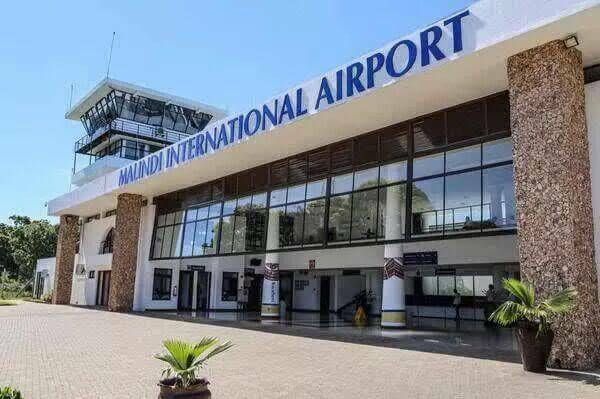 The second largest is Moi International Airport (MBA) located in Mombasa. 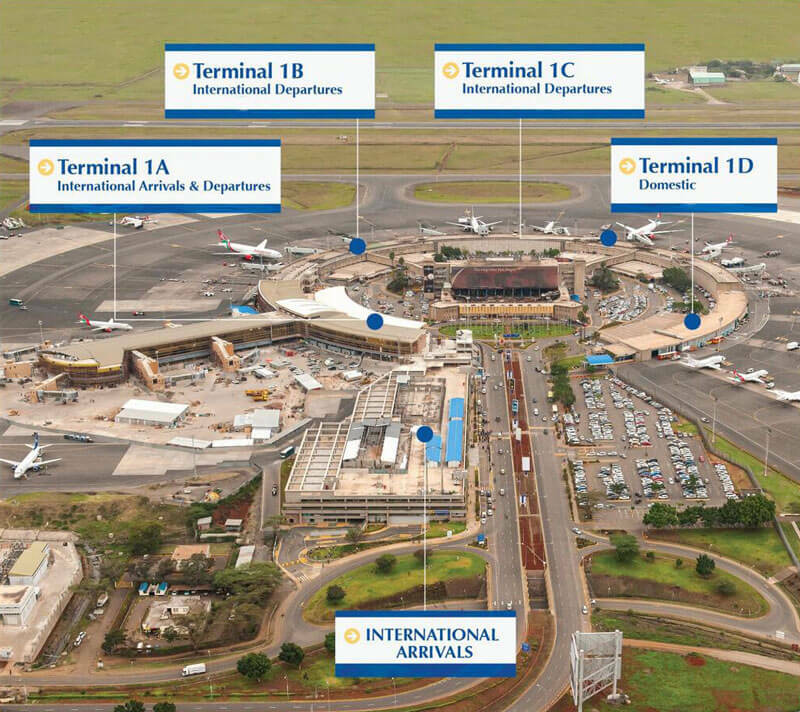 Jomo Kenyatta International Airport (JKIA) and the airport’s four terminals. It is located 16 kilometers south of Eldoret. 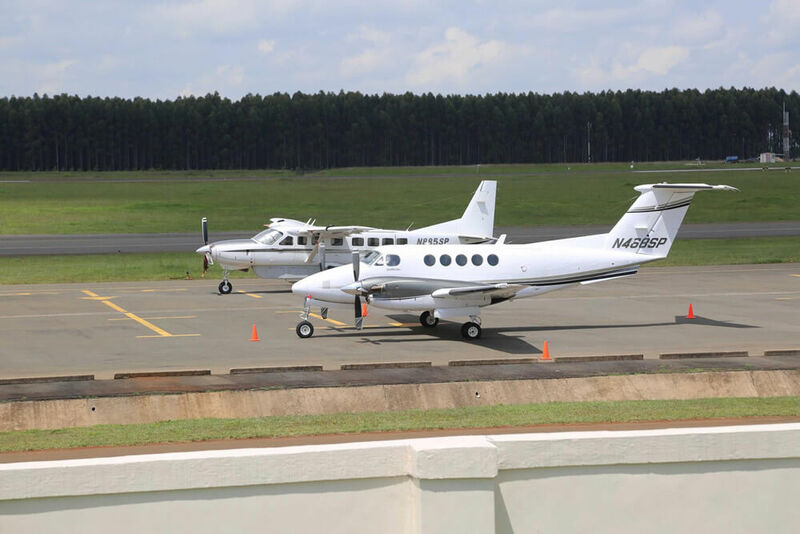 Eldoret International Airport is used for tourism and to transport export produce. It is one of the very few airports in the world with a man-made forest on its grounds. Aircrafts in Eldoret International Airport with the airport’s man-made forest visible at the background. Below is a list of all the airports in Kenya and their International Civil Aviation Organization (ICAO) and International Air Transport Association (IATA) codes.